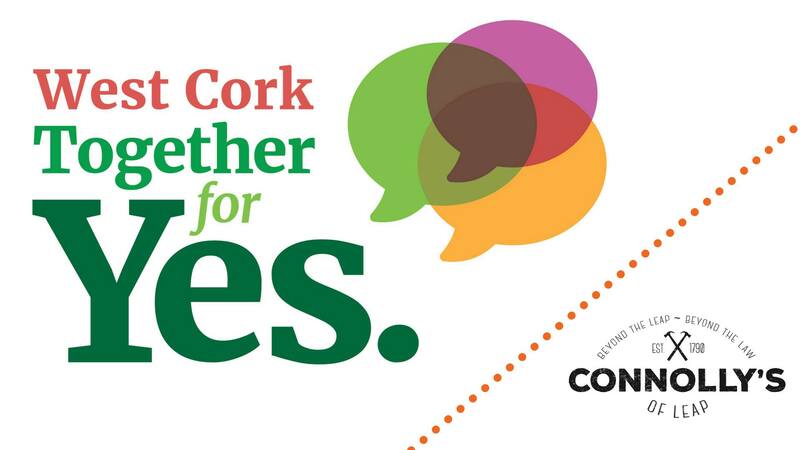 West Cork Together For Yes are hosting a RALLY FOR REPEAL event in Connollys of leap on the 20th May. Lets get together to repeal the 8th amendment on May 25th. We have an amazing selection of artists that want to support this cause. this will be a night of positivity and celebration and all are welcome!